How does V838 Monocerotis look today? Any subsequent light echo images, or is the party over? This answer to the question V838 Monocerotis “light-echo” images morphed into nice video, but why so few original images? contains the following information below. There are other answers and more images there, so it's recommended to enjoy there as well. Question: What does V838 Monocerotis look like today? Have there been subsequent light echo image sequences, or is the party over? 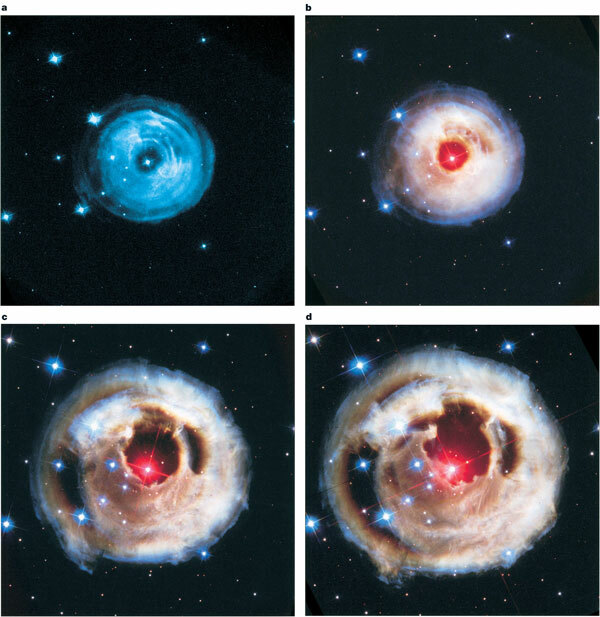 See also Why weren't the Hubble light-echo images of V838 Monocerotis supplemented by ground telescopes? ".Galactic light echoes are extremely rare. The only other known example of extent similar to that of V838 Mon was the echo produced by Nova GK Persei 1901 (Kapteyn 1902; Perrine 1902; Ritchey 1902). 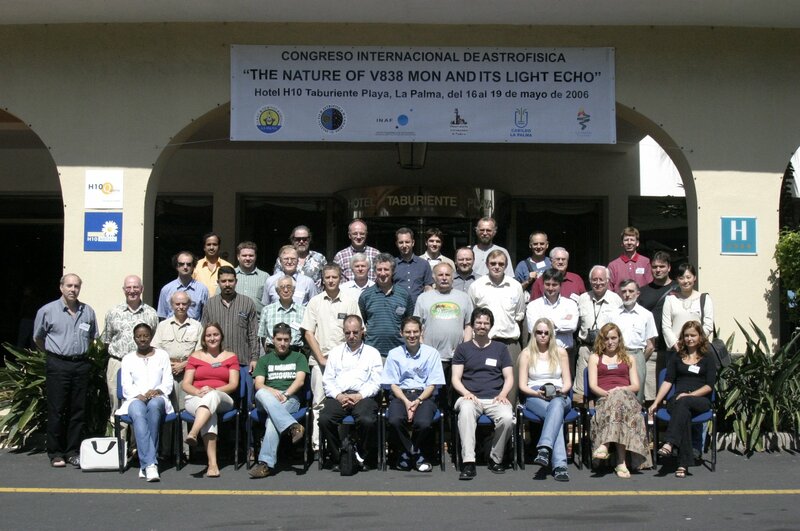 Following early misunderstandings, light-echo geometry was properly described by Couderc (1939), and more recent discussions are given by many authors, including Chevalier (1986), Felten (1991), Sparks (1994), Sugerman (2003), and references therein". "FIGURE 2. 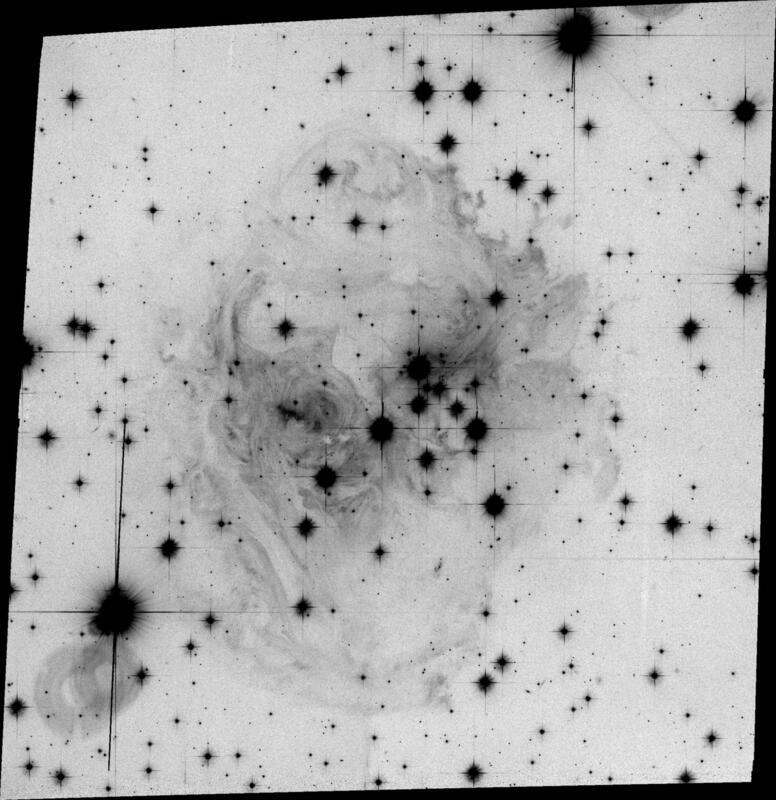 HST images of the light echoes The apparently superluminal expansion of the echoes as light from the outburst propagates outward into surrounding dust is shown dramatically. Images were taken in 2002 on 30 April (a), 20 May (b), 2 September (c) and 28 October (d). Each frame is 83" times 83"; north is up and east to the left. Imaging on 30 April was obtained only in the B filter, but B, V and I were used on the other three dates, allowing us to make full-colour renditions. 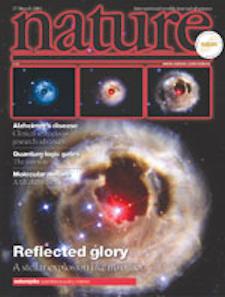 The time evolution of the stellar outburst (Fig. 1) is reflected by structures visible in these colour images. In b, for example, note the series of rings and filamentary structures, especially in the upper right quadrant. Close examination shows that each set of rings has a sharp, blue outer edge, a dip in intensity nearer the star, and then a rebrightening to a redder plateau. 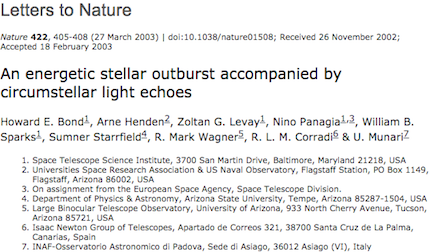 Similar replicas of the outburst light curve are seen propagating outwards throughout all of the colour images." I'm not an observational expert, but here's what I found. I found this object (V838 Monocerotis) on the HST data archive. I input the 'Target Name' as "V838 Monocerotis", clicked all 'Imagers', 'Spectrographs', and 'Other,' and searched it. And there are 199 images of this object. And the last observation was made in 2012. Unfortunately, I couldn't see any echoes in the picture taken in 2012. So I looked from the beginning. And I found this! This picture was taken from 2006-09-09 20:04:57 to 2006-09-10 01:14:57. Dataset number is J9SF01020. You can see that the shape of the echo. There are other pictures in the archive, but I couldn't see significant echo shape anymore after that. I'm sorry to say that the party is over, the echo was faded away. I also love this picture, it means a lot to me because this picture made me study Astronomy. Thanks for making me remind this memory. P.S. : If you want other pictures, especially color pictures, check out this link too. Not the answer you're looking for? Browse other questions tagged light dust hubble-telescope or ask your own question. V838 Monocerotis “light-echo” images morphed into nice video, but why so few original images? Why weren't the Hubble light-echo images of V838 Monocerotis supplemented by ground telescopes? How does light affect the universe? How does light so travel so fast?. How high does light pollution reach into the sky? Why does light from objects take time to reach us? Can radio-based telescopes produce visible light images? What's the difference of the oldest light and newest light? Almost unseeable light moving over nightsky. What is it? Where exactly is the modification that first corrected the spherical aberration in Hubble's primary mirror?